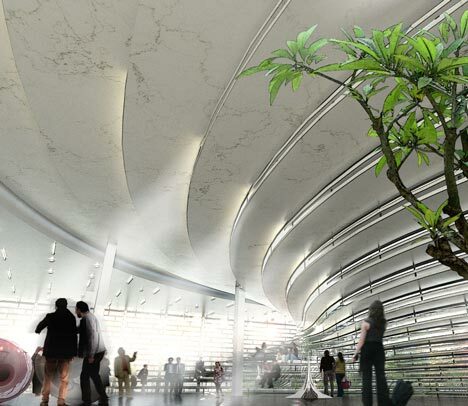 Tiromancino: Taipei Technology Center (TEK) by BIG. 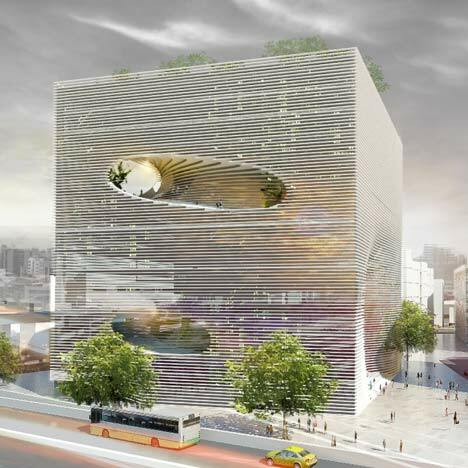 Bjarke Ingels Group's Danish company has developed a technology center in Taipei, Taiwan, which comprises a cube-shaped structure with round holes cut in volume. 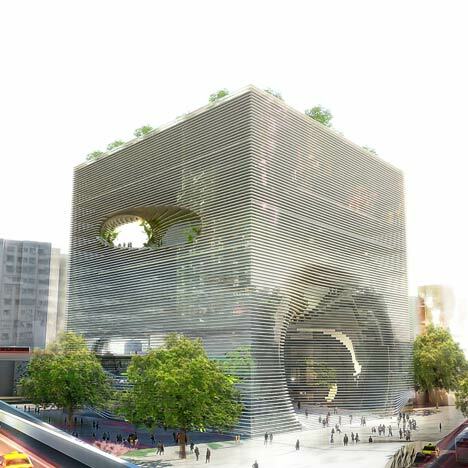 Danish firm Bjarke Ingels Group have designed a technology centre for Taipei, Taiwan, comprising a cube-shaped structure with round voids cut from its volume. 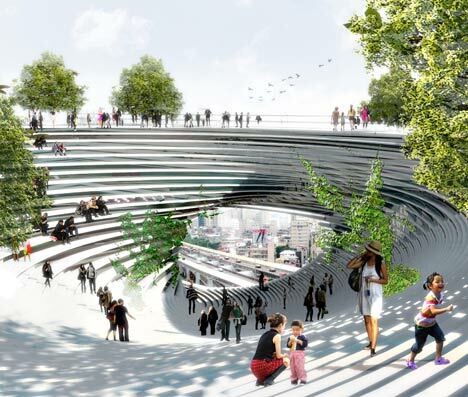 Called TEK (Technology, Entertainment and Knowledge Centre), the holes in the structure will create a spiral within the volume, which form the path from the street into the building and the height of your ceiling. 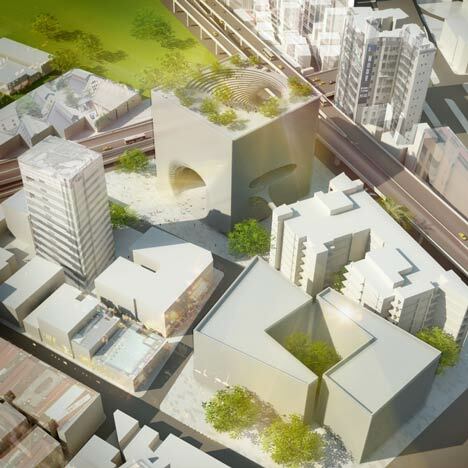 Entertainment, Technology and Knowledge Centre - aka TEK Taipei - is a dense city block or activities related to technology and mass media. Spiral Street programs media is consolidated into a bucket of 57x57x57 m3 a program steeped in public history of life of people. 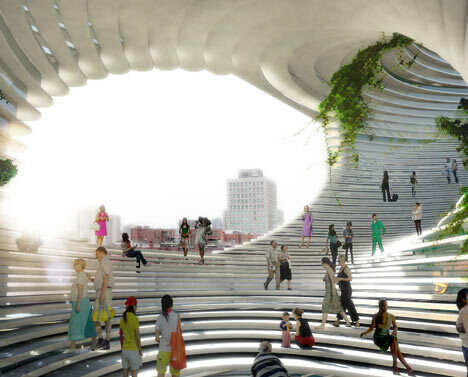 The building consists of concrete shells, an array of stacked thin plates, who will retire in the center and serve as a ladder where the holes were reduced in the structure. These areas can also provide increased informal seating areas for visitors. 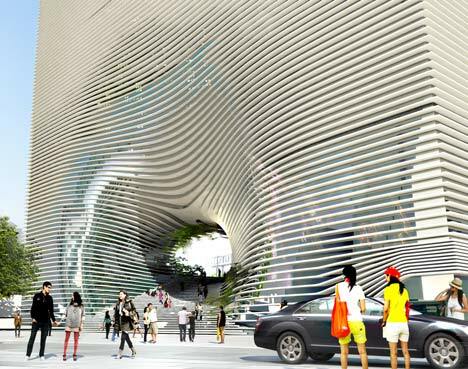 The center will include exhibition halls, exhibition halls, an auditorium, restaurants and galleries, organized around the central spiral. 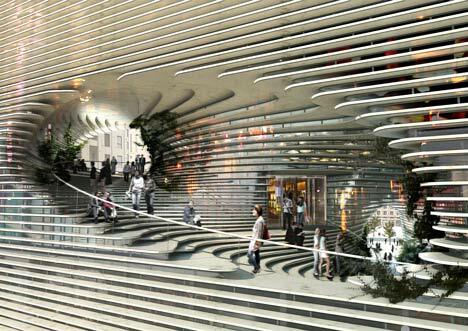 Retail spaces, a hotel and offices will also be incorporated. 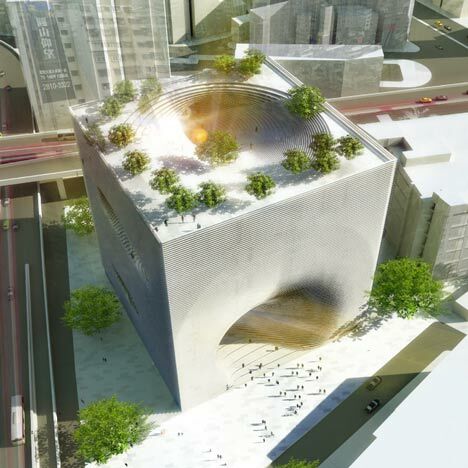 The cube is finished in layers of concrete that acts as a sunscreen, and public access. Blades back into the public forming a generous staircase that allow the public to enter the front and all the way to the ceiling. 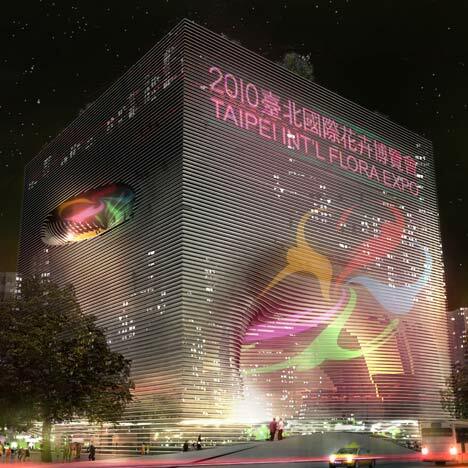 TEK consolidate Taipei exhibition spaces, showrooms, shops, a market and a hotel, offices and conference rooms everything related to media in a single entity superfunctional. At the heart of the institution, a public auditorium will host product launches, launch programs, movie trailers and gaming tournaments, and the Taipei Biennial TEK as the anchor recurring event for all the complex. 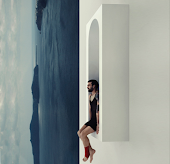 TEK3 contains an almost urban mix of the programs without apparent hierarchy. 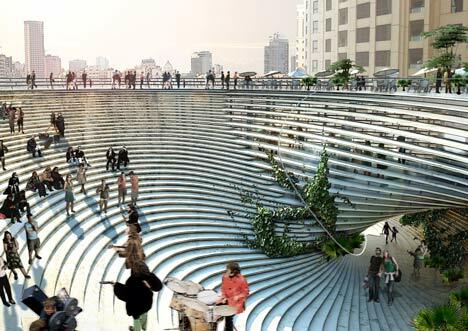 We propose the organization of the stores and showrooms, offices and hotel rooms, conference rooms and exhibition spaces, restaurants and galleries along an internal extension of the pedestrian street to the south.